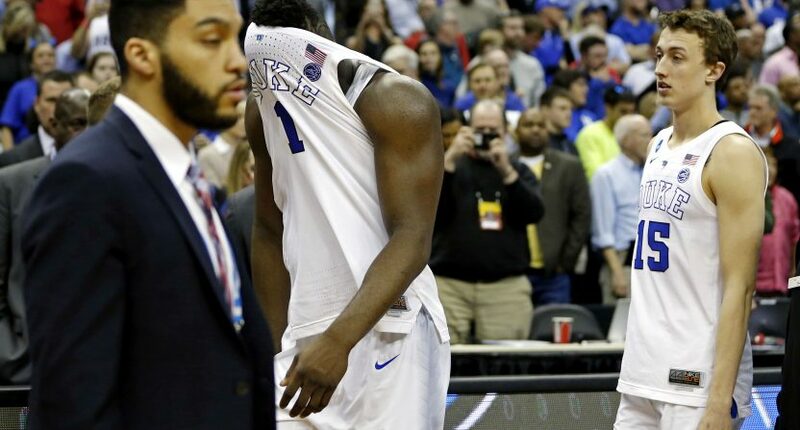 So when writers and pundits are tripping over one another this week to claim victory over the one-and-done model, what their really doing is chastising players like Zion Williamson for ruining the integrity of the sport. That this is and always was a team sport defined by the ability of five selfless individuals to put aside their egos for the greater good. It’s the “right way to play the game.” And what John Calipari and Mike Krzyzewski have wrought by buying into the one-and-done recruits has besmirched everything their predecessors accomplished. And we should all bow our heads in thanks to upstanding people like Tom Izzo, Chris Beard, and *checks notes* Bruce Pearl for carrying high the sanctity of college basketball. Over at The Big Lead, they noted that “it’s become increasingly clear that leaning heavily on one-and-done players isn’t the way to win a college basketball national title.” Ironically, that statement is followed up by mentions that 2018 Villanova, 2017 North Carolina, and 2015 Duke all had one-and-done players on their championship roster (whether they intended to only play one season or not). In fact, the more people list out teams that had one-and-dones in the championship game, the more it makes you realize that we’ve always had one-and-done talent in the Final Four, we just didn’t have a one-and-done rule. Think of all the great championship teams of the 1990s (UNLV, Duke, Michigan, Arkansas) and imagine how many of those players would have gone pro after one season had they been able. Most of The Fab Five was gone after two years anyway, of course they would have left as freshmen. One-and-done is just a label. The same talents have been entering and leaving college basketball’s revolving doors as quickly as they can for years.